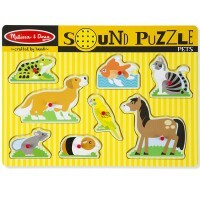 Melissa & Doug's Musical Instruments Sound Puzzle is a cool and exciting way to introduce your toddler to the most well known sounds in music. 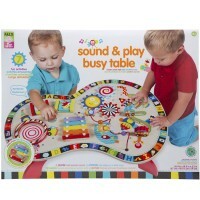 Listen up kids - let's play with SOUND! Melissa & Doug's Musical Instruments Sound Puzzle is a cool and exciting way to introduce your toddler to the most well known sounds in music. 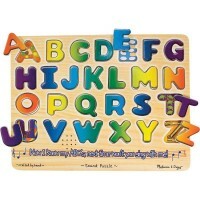 The colorful, durable wooden puzzle features 8 instrument puzzle pieces including a guitar, violin, xylophone, piano, drums and more. 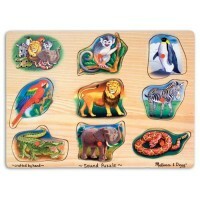 Each time you place one of the instrument puzzle pieces in its correct spot, you'll hear the sound of that instrument! 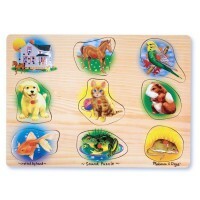 Children will love being rewarded with music each time they solve a piece of the puzzle. 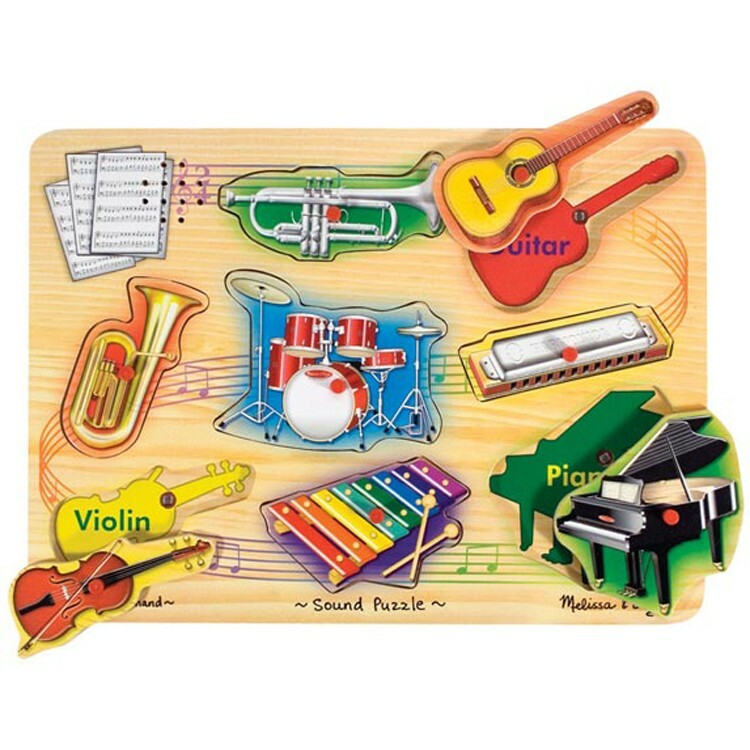 One of Educational Toys Planets bestselling first puzzles, the Musical Instruments Sound Puzzle is the perfect gift for all young toddlers. 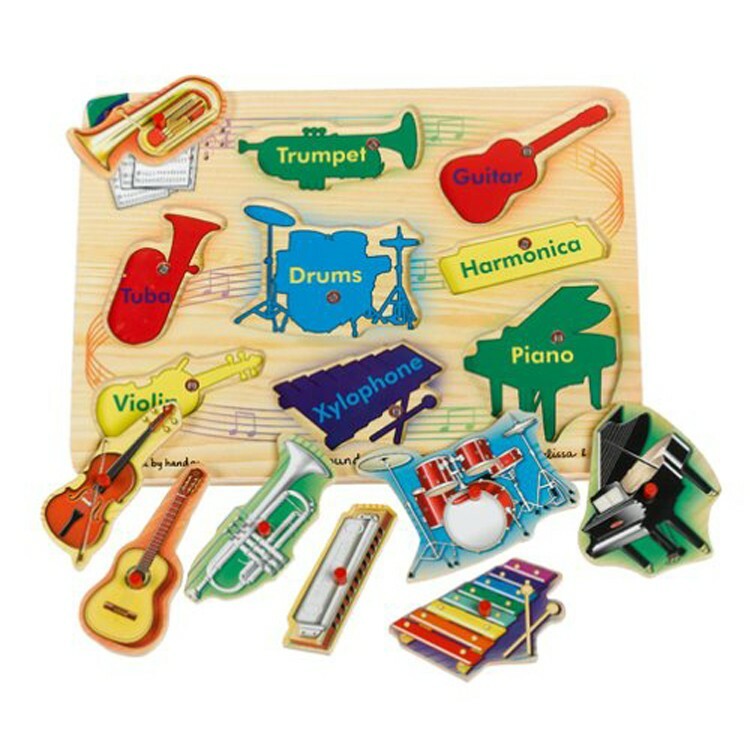 Tune in to some fun, and start piecing together your own symphony! 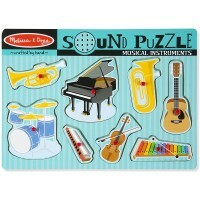 Dimensions of package 8.6" x 1" x 11.8"
Write your own review of Musical Instruments Sound Puzzle. 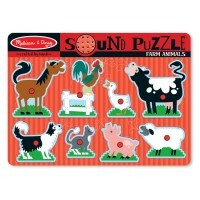 Rating: 5 Great puzzle by Jessica G Sound puzzles are super educational and so engaging. 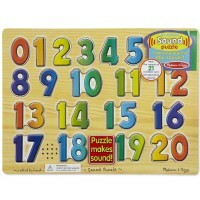 Kids love putting the pieces in the right spot and hearing the corresponding sound and it gives them a sense of accomplishment. 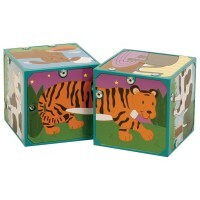 Puzzles, in general, foster spatial skills, cognition and problem solving as well as build confidence. 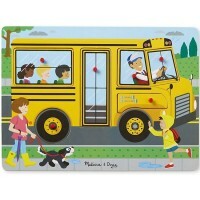 Kids are laying the groundwork for success in math and science... and all that they think that they are doing is playing! Rating: 2 by Cecile, LA Plays the same music (briefly) for each instrument,and not the sound of the instrument,and have to push very hard to get one sound to work. The music tone does get deeper for one instrument however. Nowhere to keep the pieces contained. Rating: 2 by Karen A Aaron, NY I don't feel the sounds of each instrument are distinct. the Tuba eh, the trumpe. Clearest sounds are the xylo, harmonica,and violin. I was expected more pronounced sounds and I thought the piece would only play if the right puzzle piece was place over it but it plays if any of the pieces hover over it.